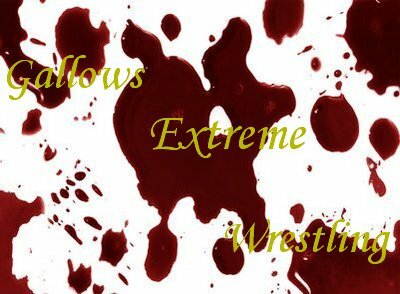 Gallows Extreme Wrestling is one of the most extreme federation from TWG. * Be detailed in your roleplays please don't post a role play that says "I'm gonna to win!!" Be creative the better the storylines you get yourself involved with lead to a better chance of getting yourself into a possible title situation. Don't disrespect. Remember this is only a game and its ment for just having fun. THERE WILL BE NO OUT OF ROLEPLAY COMMENTS ALLOWED... Roleplay section is strictly for roleplays..
No more *OUT OF RP* BLAH BLAH BLAH.. and if so.. i'm the only one allowed to do so... or the wrestlers currently role playing in the fed.